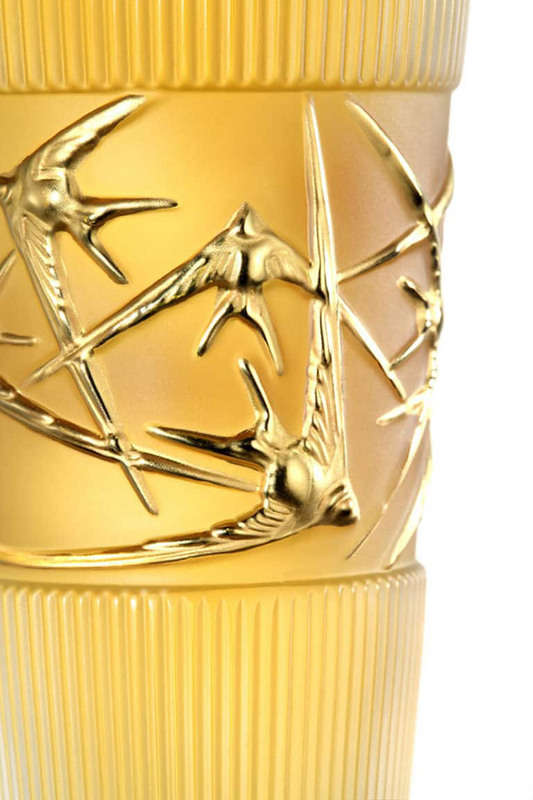 This year Lalique celebrates 130th anniversary of its establishment with a new fragrance that takes us in the heart of founder’s peerless heritage and a very special symbol: Swallow. For the occasion Mon Premier Cristal Collection presents Hirondelles, a precious limited edition of 130 numbered pieces engreved on the base with the logo “Lalique 130 ans, 1888-2018”. For this limited edition celebrating the Swallow, Master Perfumer Nathalie Lorson has chosen to showcase a delicate flower of the south, harvested in countries where the bird migrates for winter, from provence to Egypt and India… An essence as precious as gold: Jasmine. Grown in India, Jasmine Sambac offers the solar radiance of its orange blossom facet, refreshed in the top notes by freesia’s bergamot and violet tones. Rounder and lusher, infusion of Egyptian Jasmine Grandiflorum wafts its airy scent in the heart of the fragrance, carried by the vegetal transparency of gardenia and satiny white tuberose. Finally, the rare Grasse jasmine lends its addictive powers to this fascinating floral portrait, enhanced by the warm voluptuousness of vanilla. Top notes include Freesia, Gardenia, as well as Tuberose, with the base of the scent supported by Madagascar Vanilla Absolute, Heliotrope, and Musks. 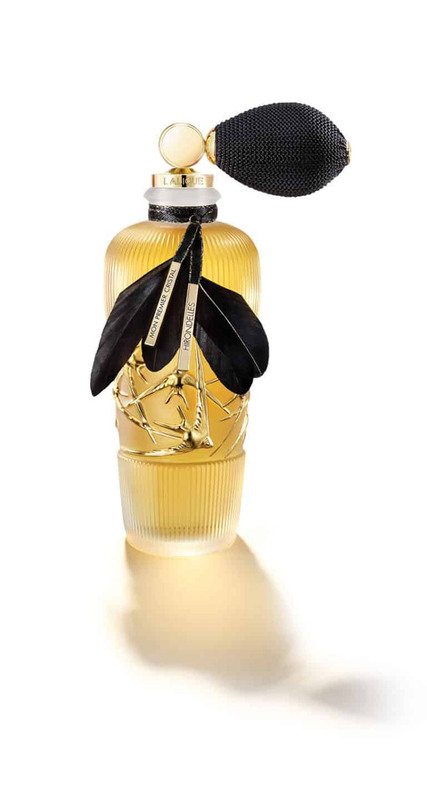 Lalique’s Mon Premier Cristal Hirondelles comes in the 80 ml crystal bottles, and each of the 130 pieces costs €980 ($1210).